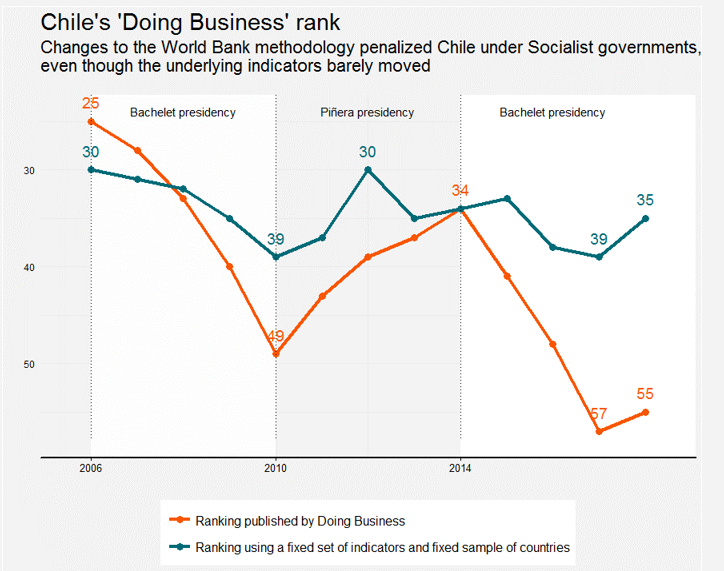 Romer uncovered how ‘methodological changes’ in the Bank’s Ranking system resulted in an abrupt drop in Chile’s scores during President Bachelet’s first (2006-2010) and second term (2014-2018), while the country’s score rose sharply under the presidency of conservative billionaire Sebastián Piñera (2010-2014). These sharp fluctuations were primarily a result of methodological changes on a group of indicators, and not because of actual reforms in laws or policies. Since 2002, the World Bank has scored countries—through the Doing Business ranking—according to how well they are improving the “ease of doing business”. In order to improve their ranking, governments must carry out business-friendly reforms such as reducing corporate tax, labor and environmental regulations. The World Bank claims that its ranking has resulted in over 3,188 regulatory reforms around the world since 2006. 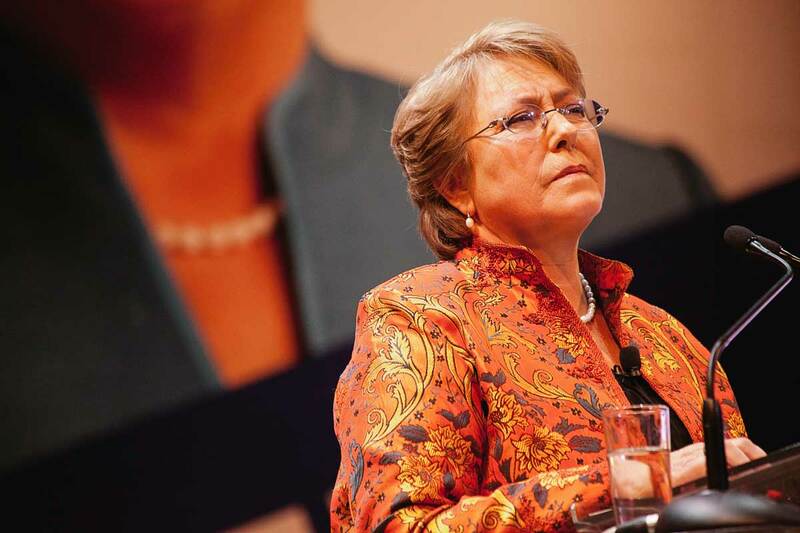 During this period Chile carried out only eight reforms, seven of which were qualified by the Bank as making it easier to do business and one which did not—President Michelle Bachelet’s latest tax reform approved by Congress in 2014. This tax reform—that raised corporate taxes and closed some tax exemptions—along with a promise of a new constitution and free schooling constituted an agenda that many voters hoped would rid Chile of its neo-liberal legacy inherited from Augusto Pinochet’s military dictatorship from 1973 to 1990. Read the full article at the Oakland Institute website.